This material has been prepared to provide information for those considering entrance into one of the educational programs of the College of Inner Awareness, Metaphysical and Spiritual Studies (either Distant Learning or On-Campus). We have endeavored to anticipate relevant questions, but we recognize that not everything can be covered sufficiently for the unique situations of all persons. For additional information contact New Awareness Ministries, Inc. P.O. BOX 1994 Largo, FL 33779. Call: 1-727-538-9976 or Click here to contact. 1. Personal Growth Student: Those wishing to study the various metaphysical courses without enrolling in a degree or New Awareness Ministries International certification program. All credits received in this program may be transferred to any other College of Inner Awareness, Metaphysical and Spiritual Studies degree or certification program at any time. 3. NAMI Certification Student: Those wishing to be certified by the New Awareness Ministries as an ordained Metaphysical Minister, Spiritual Healer, Teacher, Pastoral Counselor, Psychic, Spirit Medium or Past Life/Age Regression Facilitator. Most practitioners are offered certification upon completion of a degree program tailored to the individual needs. Certification by the NAMI, does not indicate certification or licensing by any Florida state agencies. Those considering admission to the CIAMSS as a personal growth or degree student must give evidence of maturity and stability in their personal and professional life. Those wishing to achieve practitioner status must be at least twenty-one (21) years of age. If you meet the requirements for application (see above) and you wish to enroll in any CIAMSS practitioner or degree program, you may contact the College of Inner Awareness, Metaphysical and Spiritual Studies to receive information for the ministry, healing, teaching and/or related fields. NOTE: It is not necessary to enroll in any CIAMSS education program if you wish to order courses. Special application forms for the personal growth program as well as the degree and NAMI certification programs are enclosed in this catalog. Applicants must complete an application form that includes personal data, resume of training and experience and philosophical questions. A fee of thirty dollars ($30) must accompany the application of all CIAMSS degree or NAMI certification programs to cover the costs of administrative processing.  If for any reason the applicant is not accepted to the CIAMSS the administrative fee will be refunded. The $30. fee is not applicable to students wishing only to enroll in personal growth, non-degree courses. Personal growth students may at any time transfer their CIAMSS credits to any degree or NAMI certification program by forwarding the $30 administrative processing fee and updating their application form. Following a careful evaluation of the application forms, all applicants will be notified as to their admission status. At the discretion of the CIAMSS, other requirements may be added. CIAMSS reserves the right to change regulations and guidelines. Changes in regulations and guidelines would include students who are currently enrolled as well as prospective students. We also reserve the right to withdraw courses, reassign instructors, and change tuition fees and other fees at any time. NOTE: Changes in tuition fees would not affect currently enrolled students. A great advantage offered by the CIAMSS is that you can enroll at any time. You do not have to wait for the next semester or course. Another benefit is that you can study at your own pace, you do not have to wait for others to complete their studies before you, nor do you have to hurry to meet deadlines. If we do not hear from a student for four months, we change the student's status from active to inactive. You set your own time to study, but experience shows that most students find it beneficial to be consistent in keeping to a regular schedule. If there is a reason why you cannot keep to the four month time period, we ask that you contact us to keep your active status. The majority of our student body are distance learners. We do provide on-campus classes regularly throughout the year, and in most cases, these classes are currently available in the evenings, Monday through Saturday, 7:30 pm - 9:00 pm. Since the classes vary in the length of weeks dependent upon subject matter involved, we do not operate on a regular semester or quarterly basis, although we do have class schedules beginning on a fairly regular basis in February, April, June and September of each year. Contact the campus offices for class schedules. There are occasional weekend and/or weekday intensive studies available periodically throughout the year, and students will be notified of these as they are implemented. During the holiday season, CIAMSS suspends its regular studies. This generally occurs the third week in December through the second week in January. The office is also closed for 1-week for Spring break. Other holidays observed for on-campus classes are: Memorial Day, Independence Day, Labor Day and Thanksgiving. In-residence students are required to be punctual and to attend all of the regularly scheduled classes and functions. Failure to attend less than eighty (80) per-cent of the classes will result in no credit for the course, nor can a refund be granted. Excused absences will be granted for extenuating circumstances only. Excused absences will be substantiated by entries in students' files. An early departure, class cuts, tardies, etc., for any portion of an hour will be counted as a full hour of absence. On-campus students exceeding three (3) unexcused absences in a calendar month will be dismissed from that particular course for unsatisfactory attendance, and will be required to re-take the course before a certificate will be issued. Guests may audit classes only upon prior permission granted by the CIAMSS. Students having previously completed and paid for any course of study may audit, at a reduced fee of 50%, that particular program, providing there is space available. Students are expected to contact the CIAMSS to arrange for assignments they missed. All students are regarded as mature adults and as such will be expected to honor the above requirements and to communicate with the CIAMSS if any exception needs to be arranged. Students are generally not permitted to make tape recordings in class or in any campus meeting without the approval of instructors or personnel involved. CIAMSS offers both on-site and Distance-Learning (home study) education programs. We are a unique learning institution that will allow you to learn and enjoy from the comfort of your home, office or leisure location. We offer clinics, seminars and specifically developed courses. Mentoring, coaching, and facilitating support is available for both on-site and distance-learning students from experienced facilitators. Organized in 1986, we have been on “the cutting edge” of the New Age, New Thought educational movement. We know what works and what doesn't. The CIAMSS Distance-Learning education program is not complicated. While we suggest that the student does enroll in either a degreed or non-degreed program to receive a faculty advisor to facilitate support, enrollment is not a requirement. A student may enroll and receive credit for work accomplished at any time. The student orders a course (all of our courses are available for the distance-learner) simply by filling out the Distance-Learning Course Order Form. Tuition payment may be made by check or credit card and must include postage and handling. There is no additional cost. Once the order is received by CIAMSS, we process the order and mail the course along with the appropriate examination to the student. Tuition for each distant-learning course is furnished herein, (Tuition cost may change at any time, present tuition is $40.00 per credit hour U.S. funds or credit cards – see Course Price List). There is $5.00 examination fee that is automatically added to each course order. On-Campus tuition will be discussed upon enrollment. On-Campus tuition may either be paid in full upon enrollment of each course, or on a weekly basis. (Presently all Florida locations are charging $10.00 to $15.00 per class session). NOTE: If paid on a weekly basis, tuition will be charged an enrolled student whether or not they attend. How Does Our Distance Learning Program Work? As you know all of our programs are offered as distance-learning so you can study (at your own pace) from the comfort of your own home. All you need do is order the course(s) you are interested in. We will ship the course to you. Each course has an open-book examination attached. When you are finished with the text you complete the exam and mail it (email is fine) to us. We read and comment and issue a certificate of completion. That's all there is to it. You do not have to be an enrolled student to order a course(s). Once we receive your order, we will automatically enroll you as a non-degree student. Should you with to enroll as a degree or certification student you may do so at any time. A Certificate of Completion for each course is awarded when studies and examinations are successfully completed and tuition and testing fees are paid. Diplomas will be awarded when the student has successfully completed the previously designated course of study and paid the proper tuition. The titles of degrees issued by the CIAMSS will include one of the following words: Religious or Spiritual. For Example: Associate of Religious/Metaphysical Arts, Bachelor of Religious/Metaphysical Sciences, and Doctor of Spiritual Natural Healing. Each student will receive a copy of the course they enroll in. The cost of the course text is included in the tuition unless otherwise stated. There is an additional cost fee for shipping and handling and the $5.00 testing fee. Distance-learning students may be expected to study additional material as specified by the dean of education. For classroom learning: One 90-minute class plus 90 minutes homework or research each week for approximately 6 weeks. Each CIAMSS course is broken down into lessons containing approximately 4 to 6 pages of 8 ½ x 11 single-space text. As a general rule of thumb, 6 of these lessons represent one (1) semester credit hour. Each course of study is considered to be a separate entity and the formula given is only an approximate. For life experience credits when submitting book lists: One credit hour course would require approximately 225 pages of reading at the undergraduate level of study. For life experience credits when submitting book lists: Graduate study requires approximately 500 pages of reading for a 1-semester credit hour of study. Masters thesis 50 pages 8½ x 11 typewritten double spaced (approximately 25,000 words). Doctoral dissertation 120 pages 8½ x 11 type written double spaced (approximately 50,000 words). Credit for courses completed at other institutions along with classes, workshops, and seminars you have attended in connection with your field of study may be issued at the discretion of the Dean of Education, CIAMSS. To receive credit for the above studies and work experience, we must receive copies of your transcripts from other schools, certificates from classes, seminars and workshops (including the number of hours the program lasted), and sworn, notarized statements attesting to the authenticity of the documents. A maximum of 60 apropos semester hours can be transferred from community colleges. A maximum of 90 apropos semester hours can be transferred from a four-year regionally accredited college or university. CIAMSS may also accept transfer credits from military and other non-traditional sources. Generally, only those credits taken within ten years of the date of application to the CIAMSS will be considered. Special circumstances are always carefully weighed and credits taken beyond the 10-year limit may be used if individual circumstances warrant. NOTE: Transferability of credits earned at this institution and transferred to another is at the discretion of the receiving institution. (Section 246.084(1)(f)5, Florida Statutes) Students are required to complete a minimum of 1/3 of the required amount of semester credits for any CIAMSS degree or certification at CIAMSS. CIAMSS awards credit to individuals who demonstrate appropriate levels of proficiency in their fields of study and bring significant scholarly works to proper academic presentation. Your relevant life and work experiences can be an additional source of academic credit. Life experience credit is known as extra institutional learning and is defined as learning that is attained outside of educational institutions. This term applies to learning acquired from work and life experience, independent reading and study, workshops or seminars successfully completed (verification must be supplied), and formal coursework which is sponsored by a business, government, industry, the military, employee unions, etc. The CIAMSS has established careful guidelines for granting credits and will assign credit for properly documented learning experiences from a wide variety of life, career, and academic sources. All documentation must be accompanied with sworn, notarized statements attesting to their authenticity. Life experience credit unrelated to the student’s degree will not and cannot be considered for credit. Life experience cannot be substituted for a degree’s dissertation requirement, only for coursework. Students are required to complete a minimum of 1/3 of the required amount of semester credits for any CIAMSS degree or certification at CIAMSS. Published work by the student may be submitted for special consideration for the dissertation requirements. It is the policy of CIAMSS that students give CIAMSS permission to use their dissertations as CIAMSS course material. Associate Degree Programs: Up to 30 life experience credits may be put towards this degree, though less may be granted based on the discretion of the CIAMSS. Related work experience may be awarded at the rate of 5 semester credits per 1 year of related work experience. Bachelor’s Degree Programs: Up to 60 life experience credits may be put towards this degree, though less may be granted based on the discretion of the CIAMSS. Related work experience may be awarded at the rate of 5 semester credits per 1 year of related work experience. Master’s Degree Programs: Life experience credits are awarded in the same procedure as Bachelor’s degrees. However, only up to 10 life experience credits may be put towards this degree, though less may be granted based on the discretion of the CIAMSS. Related work experience may be awarded at the rate of 1 semester credits per 1 year of related work experience. 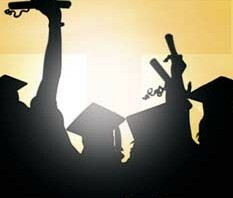 Doctorate Degree Programs: Life experience credits are awarded in the same procedure as Bachelor’s and Master’s degrees. However, only up to 10 life experience credits may be put towards this degree, though less may be granted based on the discretion of the CIAMSS. Related work experience may be awarded at the rate of 1 semester credit per 1 year of related work experience. Students may have their military experience reviewed to determine if either their training or actual job duties is commensurate with the content of courses offered at CIAMSS. The college uses the ACE Military Guide as the primary guide to making determinations. Credits for military experience are treated as transfer credit and listed as military credits on a student's transcript. Interested students should submit an official copy of their military transcripts to CIAMSS for evaluation. Students are expected to govern their conduct by accepted standards of behavior. A student shall be placed on probation or discharged if or when his or her academic performance, attitude, or behavior does not meet the standard prescribed by the CIAMSS. Reasons for dismissal of a student may include: moral turpitude; the abuse of legal, illegal, or controlled substances; willful failure to carry out assigned studies outlined or other reasonable course-related tasks assigned from time to time by the CIAMSS; criminal behavior such as fraud, embezzlement, or other activities that would be viewed by a reasonable person as actions unbecoming of a metaphysical practitioner, or any behavior casting a decidedly unfavorable light upon the CIAMSS. Persons admitted to the CIAMSS and/or NAMI programs are considered adult learners. The faculty assumes that you are self-motivated, have the desire and maturity to receive meaningful information about your progress, and will take responsibility for your own growth in relation to the class and course work. 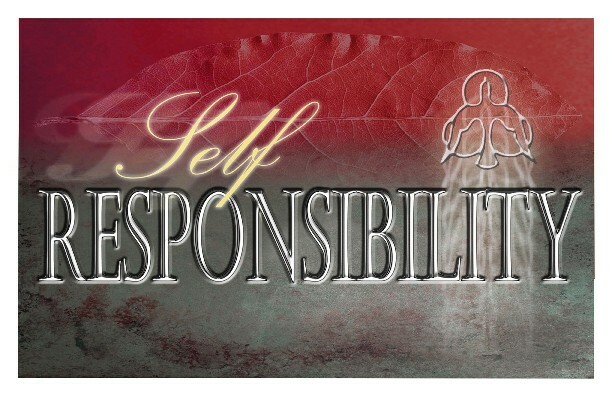 There are many means by which accountability is demonstrated in a responsible learning community. These may be verbal, visual, or written. Accountability applies to both faculty and students. 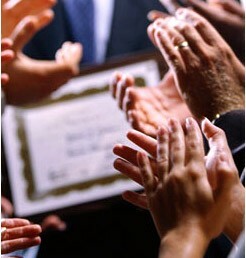 Faculty members have the responsibility for communicating what is to be learned, its purpose, and the goals to be achieved. Student accountability may take the form of oral reports, written reports and papers, action projects, or examinations. CIAMSSis a responsible learning community; a community where faculty and students are engaged in the process of helping people to unfold the consciousness and skills as a metaphysical/spiritual practitioner. The faculty regards evaluation and accountability as a part of the relationship that exists between faculty and students. The objective of evaluation, whatever its form, is to engage the student in responsible self-under-standing and self-evaluation serving as a springboard for further learning. Those who are dedicated to learning seek and welcome information at every opportunity about their progress. That kind of information is indispensable in mastering a subject or skill. An open-book examination is included in most courses. It must be completed and submitted to the CIAMSS, along with a $5.00 testing fee, using the proper format before a Certificate of Completion is issued. A thesis or dissertation must be written in an acceptable grammatical style and form. They should reflect the high quality of work expected of an adult student. (The book, Form & Style in Thesis Writing, by William Giles Campbell, The Riverside Press, Cambridge, Mass., 1954 or comparable book is suggested as a guide.) Before starting on the thesis, the student must submit a subject, which should reflect the major field of study. There should be approximately a 500-word explanation regarding what the student intends to include in the thesis. After approval by the Academic Board the student may begin working on the thesis. During research the student is expected to keep the Board informed of his/her progress. Thesis must be typed and legible or they will be returned without action. Master's and Doctor's dissertations must be professionally hard bound. Two copies should be submitted: original and first carbon. One copy will be returned to the student after approval -- the other copy will be retained in the CIAMSS library. The title should appear on the front cover, with the candidate's name at the bottom, along with month and year of submission. If possible, the title and last name of the student should appear on the spine of the bound thesis. E Excellent; superior work indicating that you have mastered the subject comprehensively, showing evidence of the ability to use the subject matter at a very high level both personally and professionally. S Requirements of the course and discipline have been met satisfactorily, and work is acceptable for graduation. I Indicates work is incomplete and a time limit is given for completion. Coursework with an Unsatisfactory grade may be discussed with the student's faculty advisor and an attempt may be allowed on the behalf of the student to re-take the examination within three (3) months of the first issued Unsatisfactory grade of the specific exam. If student retakes the specific exam within the period of three months with a Satisfactory grade or higher, the new grade will be entered into the student's transcripts. If the second attempt on an exam results in another unsatisfactory grade, then the student will be required to retake the course, with an audit fee applicable. Incomplete work, whether through distance learning or on campus, must be completed within one (1) year of receipt of class for distance learning or one (1) year from last scheduled class for on-campus students. After this, the class must be retaken at audit rates for completion. Extensions may be granted to this one-year limitation through the student's faculty advisor, with a notation made to the student's files to that effect. Distance learning students who have had no activity on record for a period of one (1) year will be moved from active to inactive status. A student, who receives three (3) Unsatisfactory or Incomplete grades within a one (1) year period, will be placed on academic probation. The student will then be given a specified amount of time, as determined by the Dean of the College, to bring their grades and/or coursework into Satisfactory grade status or higher. A notation of academic probation will be issued to the student and additionally be placed in the student records. If Unsatisfactory grade progress and/or Incomplete coursework are not reversed through the efforts of the student, then the student will be dismissed. The Dean of the College, upon re-application by student, will set conditions for re-entrance for a dismissed student. CIAMSS does not operate on a semester or quarterly basis, and therefore does not issue regular progress reports. A complete record of the student's academic and attendance records is available through the Registrar's Office at CIAMSS. A file will move from active to inactive status when it shows no activity for a period of one (1) year. CIAMSS recognizes that each student develops at his/her own rate of unfoldment and has his/her unique challenges in the program. To further our mutual responsibility for growth through good communication, you will be assigned a faculty advisor. The faculty advisor is a specific faculty resource person for you on all matters relating to your progress in the program. This includes support and guidance regarding course work, being the primary faculty contact person for academic concerns and channeling specific progress information from the CIAMSS. CIAMSS instructors have full authority in their classrooms. Every student is expected to attend classes and to satisfy the instructor that the work of the course is being performed in a systematic manner. Students whose behavior is inappropriate may be referred to the Dean of Education. Any student who refuses to leave a classroom when requested to do so by the instructor or an administrator of CIAMSS is subject to disciplinary action. Students who feel instructor authority has been misused may seek due process by initiating a student's problem resolution process. The satisfactory completion of the necessary semester credit hours over a specified period of two calendar years. This includes credits of required courses as well as elective credits. This will also include the necessary thesis to be written as specified. Evidence of metaphysical, spiritual, mental, and emotional maturity will support the judgment by the faculty of your readiness and fitness to perform your duties as a metaphysical/spiritual practitioner. See Internship, Licensing, Ordination for NAMI Certification Programs in NAMI Certification Programs.